A new national program called Canine Care Certified, which was developed as a result of research by faculty in the Purdue Center for Animal Welfare Science (CAWS), has begun accepting applications for certification from breeders nationwide. That's according to a report published by the media outlet Pet Age. The story says the broad introduction followed extensive research and pilot testing within the breeder community, which was led by Purdue University faculty. The research was conducted over three years, beginning in 2013, by Dr. Candace Croney, CAWS director and professor of animal behavior and well-being in the Purdue Veterinary Medicine Department of Comparative Pathobiology, with a joint appointment in the College of Agriculture's Department of Animal Sciences, and her colleagues at CAWS. The resulting national voluntary certification program sets rigorous science-based standards for the care of dogs and puppies by professional breeders. Canine Care Certified was announced in August 2016, during a national conference of the pet care industry in Las Vegas. The program is based on the Standards of Care developed by CAWS researchers and peer-reviewed by animal scientists, veterinarians, and canine welfare experts. The certification program, developed at the request of breeders, has been pilot-tested with 16 professional breeders since early 2015. Every breeder in the pilot has shown improvement in the care of their dogs, according to Dr. Croney. "This is a program with expansive reach, deep substance, and pilot testing to ensure it works," Dr. Croney is quoted as saying in the Pet Age story. "For responsible breeders, there should be no more important business practice than ensuring the health and well-being of their dogs. We took a hard, thorough look at the welfare status of the dogs we studied, public expectations, and the relationship of breeders with their dogs. This research directly impacted the standards that address the dogs' physical and behavioral health. It is the backbone of this comprehensive and truly unprecedented program. The program is voluntary and a way for breeders to assure the public that they are doing the right thing for their dogs." As explained in the Pet Age report, an independent, third-party auditing firm, Validus, inspects breeders onsite who apply for the program and issues certificates to those who meet the stringent Standards of Care. To begin the process of certification, breeders are encouraged to create an account on the Canine Care Certified website. Upon confirmation of their application materials, they must complete an onsite audit by Validus. According to Dr. Croney, no other program sets standards as comprehensive as those provided by Canine Care Certified. 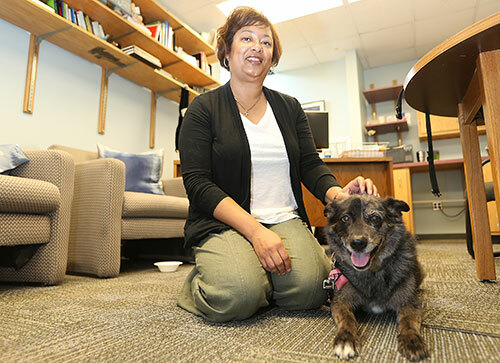 The program exceeds other canine welfare programs and state and federal laws that often provide only minimum standards and do not fully address areas such as dogs' behavioral needs, including socialization. A number of the pilot breeders who participated in the Purdue research have passed the audit to become Canine Care Certified, and several other breeders are in the process of implementing the Standards of Care in preparation for audit. The Pet Age story also quoted Terry Buening of My PawPaws Puppies, one of the first breeders to receive certification, who said, "It was important for us to participate in Canine Care Certified because we are committed to always raising the bar and improving the lives of dogs. Through our participation in the program, we have improved our documentation practices, enhanced public perception and awareness about responsible dog breeding and highlighted our dedication to ensuring dogs are well cared for. This has been a heartwarming and comforting process for the new pet families we are working with daily. They don't have to assume anything about how the dog was raised. It's laid out for them in the standards." The Canine Care Certified program is available to any breeder, regardless of size, who commits to meeting the standards. "We applaud the dog-breeding community for taking the initiative to establish a voluntary program that gives breeders the power to demonstrate that their dogs and puppies have been raised in a manner that focuses on the animals' physical, psychological, and behavioral needs," said Dr. Bret Marsh, Indiana State Veterinarian, in the story. "Veterinarians see the value of independent programs like Canine Care Certified and understand that physical health is only one measure of a dog's overall well-being." The program is administered by the Center for Canine Welfare, a new national, non-profit organization. It is anticipated that the voluntary nature of Canine Care Certified, combined with consumer demand for dogs raised in this manner, will lead to high motivation for participation and compliance by breeders.